They want to know what Grimes, Azealia Banks, and newsrooms including the New York Times knew. Elon Musk’s Twitter drama is back. If you for some reason want to think about that “taking Tesla private at $420” tweet again, please read on. Now Tesla investors now want to subpoena Grimes, Azealia Banks, and newsrooms including The New York Times, Business Insider, and Gizmodo for any information on Musk’s infamous tweet and his attempt to secure private funding for his electric vehicle company, Tesla, Bloomberg reports. If the investors do issue these subpoenas, then Musk’s misleading tweets, which prompted separate SEC and Justice Department investigations, will somehow become even more of a circus. 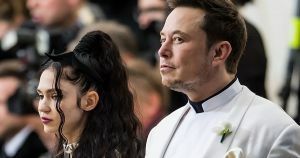 Musk’s lawyer, Dean Kristy, responded Thursday by saying that the attempt to drag Grimes and Banks — who were both around Musk when he sent the tweets — as well as newsrooms that interviewed any of the three celebrities, is more of a spectacle than a good-faith effort to learn more. “It is readily apparent that this is more of an effort to sensationalize these proceedings than a legitimate attempt to preserve evidence,” Kristy wrote in a court filing, according to Bloomberg. For now, the investors still seem to be considering their options, as Gizmodo‘s article on the matter didn’t include mention of actual subpoenas. But if The New York Times, Gizmodo, Business Insider, Grimes, and Azealia Banks all get dragged into the ongoing investigations, you can bet we’ll have a lot more to share soon.